Azelique offers a selection of products that includes everything you need for a complete skincare routine, from a cleanser to an exfoliator, a day lotion, a night cream, a selection of serums, an eye treatment, and a face mask. Using a combination of both botanicals and nutraceuticals, this line offers a good balance of natural extracts as well as nutrient-rich active ingredients that are known for their efficacy and performance. The brand got its name, Azelique, from Azelaic Acid, an acid which has been found to diminish visible signs redness, blemishes, acne scarring and hyperpigmentation, as well as even out tone and texture, aka everything I deal with on a regular basis, so it's a match made in heaven. I've been using the Age Refining Cleanser both morning and evening, and what I love about it is that it's super gentle and suitable for all skin types, including sensitive, which I fall under. Once squeezed out of the tube, it appears clear, but combined with water, will slightly lather and turn into a white emulsion. It's great at breaking down face makeup without disturbing the skin's pH level or leaving my skin looking red or irritated. It has a light floral scent, and key ingredients include vitamins E, C and A, CoQ10, green tea leaf extract, grape seed oil, olive leaf extract, acai berry, and rosehip extract. Twice a week, I like to reach for the Age Refining Skin Polish, a heavy-duty physical facial exfoliator. It contains white micro granules that help dislodge and lift impurities that are found deep in the pores. Once applied, I simply massage the product in circular motions for a minute with a light hand, and rinse. After recently receiving a facial which included extractions, I am being more diligent about ensuring my pores are as clear as they can be, and this polish has been a welcome addition to my skincare stash. Since the formula is on the slightly grittier side, it's also great to treat dry patches. Also, a little goes a long way! The Activated Charcoal & Clay Mask is pretty neat as it's a hybrid between a mask and a mechanical exfoliator. The mask is made from a base of activated charcoal, kaolin clay, bentonite clay and sea kelp for the ultimate detoxifying effect. It also contains glycolic acid, which helps even out skin tone, hyaluronic acid, which acts as a humectant, and apricot seed powder for a polishing effect which kicks in when massaging prior to rinsing. When I first apply the mask, I feel a slight warming sensation for the first few minutes (nothing uncomfortable), which then switches to a cooling sensation. I like to do this mask once a week and leave it on for roughly 15 minutes - by then, the mask has dried and turned light grey and my pores are peaking through the mask, revealing that the mask has done its work by absorbing excess sebum. 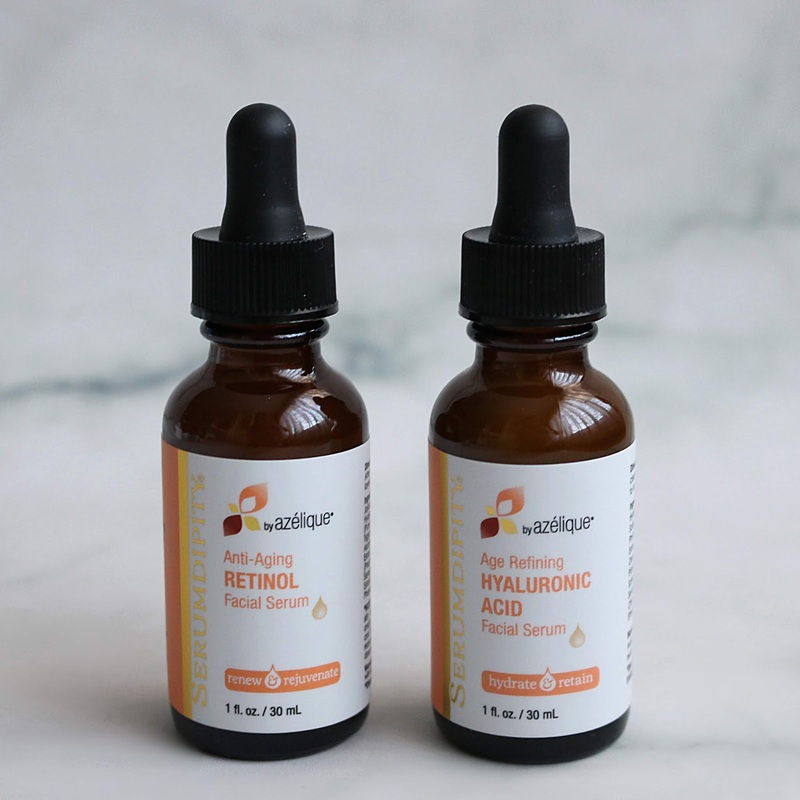 I've been on the lookout for a skincare product containing retinol to add to my daily routine, so I was excited to come across the Anti-Aging Retinol Vitamin A Facial Serum. In case you weren't aware, retinol is basically vitamin A, which applied topically helps with the skin renewal process and reduces the appearance of fine lines, wrinkles, age spots and pore size and will overall improve your skin tone. This liquid serum also contains jojoba esters, pumpkin seed extract, vitamin E, barley seed extract, peach leaf extract and oat seed extract. I like alternating between this serum and the next one, applying it all over my face and neck before moving on to moisturizer. Hyaluronic Acid is a humectant, meaning it draws moisture from its surroundings, that is naturally present in the body, but it can also be incorporated into a water-based skincare product. Applying hyaluronic acid topically is known to not only boost hydration and plump the skin but also reduce the appearance of fine lines and wrinkles. The Age Refining Hyaluronic Acid Serum has more of a liquid-gel consistency and my skin drinks this stuff right up! If you've been dealing with dehydrated skin like I have these last few weeks (thanks frigid temperatures), this serum will also help boost the performance of the face products you will apply afterwards as it will help retain moisture. I've been reaching for the Age Refining Day Lotion every morning after cleansing and applying a serum. What I like is that the weightless formula absorbs super quickly which makes this moisturizer perfect to apply before moving on to doing your makeup. It contains a mix of CoQ10, vitamins A, C and E as well as other botanical extracts such as safflower seed oil, grape seed oil, witch hazel, green tea leaf extract, acai berry fruit extract and pomegranate seed oil. It has a light floral scent and does not leave a greasy residue behind, something I personally prefer when it comes to facial products I reach for during the day. At night, I always opt for a heavier cream or facial oil, and I've been using the Age Refining Night Cream consistently for the last few weeks. Housed in a thin bottle with a pump dispenser just like the day lotion, this cream feels slightly oilier once applied, yet does not leave the skin feeling greasy. What I also like is that you can feel the firming effect it has within a couple of minutes following application. Once again, this product contains a handful of nutraceuticals and botanical extracts high in antioxidants and polyphenols which help calm the skin. It also has resveratrol ferment, which helps increase collagen production as well as even out and brighten the skin. The last step in my skincare routine is the Age Refining Eye Treatment. I've been using this fragrance-free eye cream morning and night, as the skin around my eyes has been on the drier side the last few weeks, and I've been needing all the help I can get! It contains coffee extract, which helps reduce puffiness around the eyes as well as glycolic acid to gently exfoliate the sensitive area around the eyes. This eye treatment has a light creamy texture that absorbs quickly into the skin. Moisturizing around my eyes also helps prevent my concealer from creasing throughout the day, so it's definitely become a must-have for me. 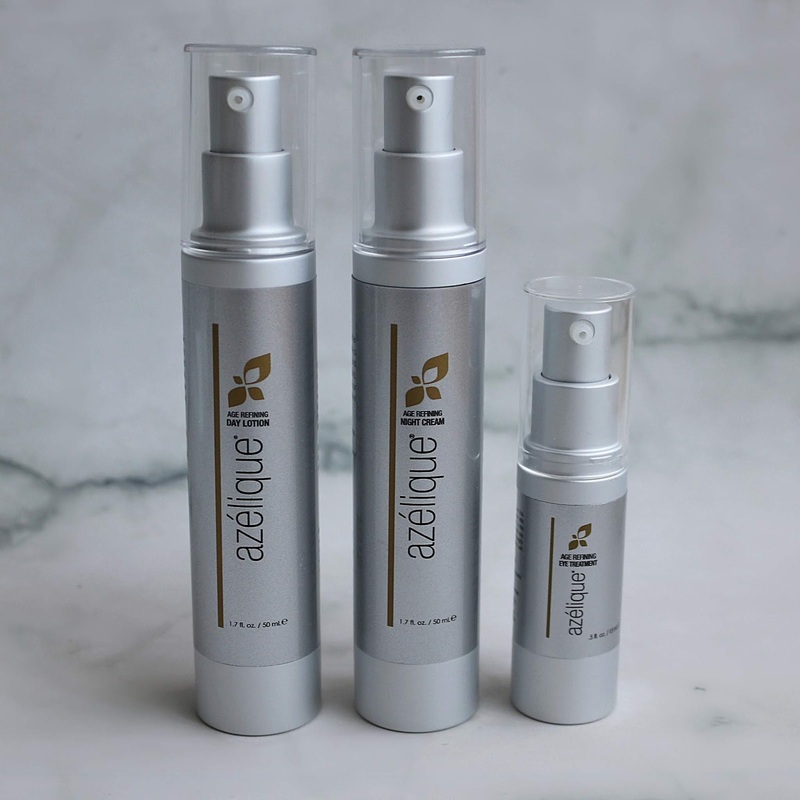 If you've been looking for a new cruelty-free skincare line, I would highly recommend you check out Azelique! Interested in purchasing products from the brand, or any other product on iHerb? Whether you are a new or existing customer, you can get a discount off your order with no minimum purchase by clicking this link! Have you heard of iHerb? Which of these products caught your eye? yes yes and YES to this amazing skincare review girl - im def looking for some age refining skin care and this may be IT thanks to your great review! There are so many different facial cleaners and all kinds of stuff to use floating around out there. Hard to know which ones to use and really work. Good to know if someone has actually tried them out. I would love to find and use the Azelique Age Refining Hyaluronic Acid Serum. My skin does get wrinkly in winter, would want it to be nice and plump all year round. I've never heard of iHerb before but the products sound good. I love the sound of everything here especially the serums, day and night cream. I'm always eager to try new skincare. My skin could use the help, that's for sure. I would for sure like that eye treatment. what a great collection! I'm not familiar with this brand but im curious to try Azelique Anti-Aging Retinol Vitamin A Facial Serum! I haven't heard of iHerb before, so I'll definitely go and take a look at the products they are selling. The Azelique range or products sounds great, I would love to try the eye treatment. This is my first time learning about this brand. Thanks for giving a breakdown of each product. Looking forward to going this a try. This looks a great range. I have been using retinol serum for about a year now and love it. I'm not sure there's a real difference but I'd like to think it helps!! I definitely need some age refining skincare! I haven't changed up my skincare routine in a long time. What a great collection of skincare products! 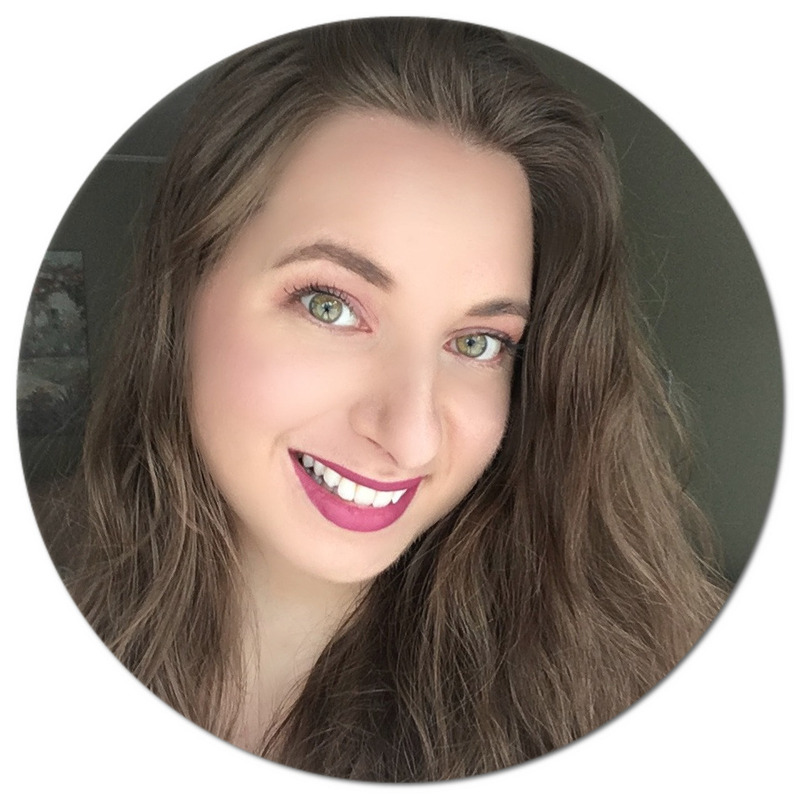 I'm looking to change up my current products and routine, so your recommendations are very helpful! I've been looking for a good anti-aging products to add to my over 50 skin routine. 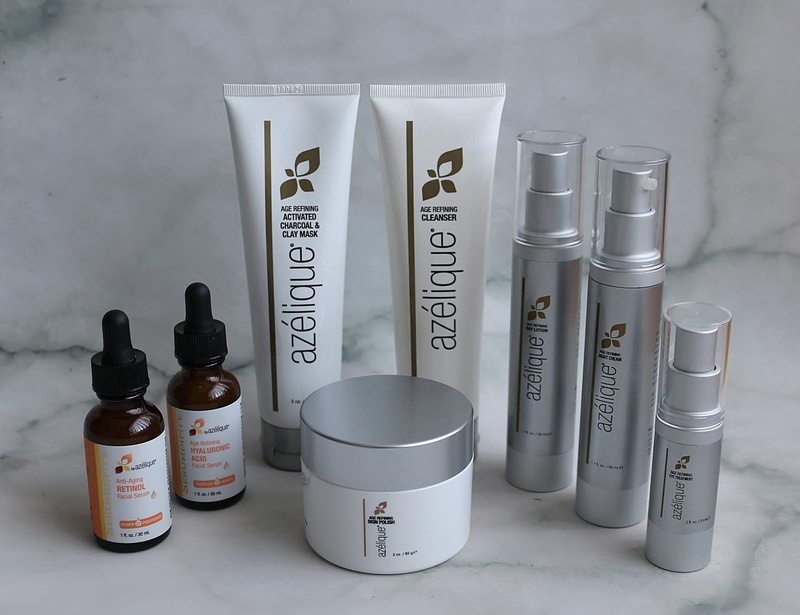 Azelique has certainly piqued my interest and am going to check them out - especially the retinol serum!! I like all these products a whole perfect line even for people like me who is 30 and start having the first wrinkle problems. Prevention is better than cure! I've never heard of this brand before but I will have to try it! I'm a big fan of natural products! I'm looking for the product that cures my chicken neck. I swear, it popped out overnight. I have tried a few things, one that is kinda good, but nothing that makes me smile! You always share brands that I haven't heard of. I'll definitely check this one out! This sounds like a brand of skin care products that my wife would enjoy using. She likes trying all natural products. Iherb is my fav online shopping site. I shall try out this brand. The packaging also look so good. Thanks for sharing your review. I think my wife will really like this. I need to pass this on to her. These are really interesting product to try and I think this is so good! I'll check this out. The fact that is so good it's all natural. Looks like a great brand that has amazing products. I'd love to try all of these! iHerb did it! The skincare collection is just amazing! I would need the Retinol cream since my skin needs some little renewal. And also charcoal masks all the way! Ohhh I actually have not heard of that brand! It nice to see the all the different skin care there is out there. I specially like the charcoal clay mask. I am so in for a nice mask with activated charcoal. It has been my thing as of late. These looks great product for age refining skincare. I need to check it into as age is catching up and skin is not as it used to be. Such a great product review. I would need the clay mask and the serum and I am sure my skin will thank me for that. I need something to make my skin not look like I haven't slept well for months. This sounds like the right stuff. What a wonderful and thorough review! They have a full line of cruelty-free products? I might have to look into these! Thanks for the discount code! I think that this is the fight of every women. Fighting against aging is the real thing! There's just so many options. I will check these out for sure! This is the first I'm hearing of them. I'm really DANG glad I ran across this post to learn of them! wow you are making me excited to try these new products. I like anti- ageing for my skin! I haven't tried any of these products, but I love shopping from iherb. Good prices, and products that I don't get in my country. I also have dehydrated skin and this sounds amazing! I've never tried their products yet. I am a big fan of great skincare. These products sound really nice! what a great list of products! I really wanna try that day and night cream !